Deciduous perennial. Highly aromatic green leaves grow on upright stems. Abundant spires of unique sunset-orange flowers bloom through summer into fall. 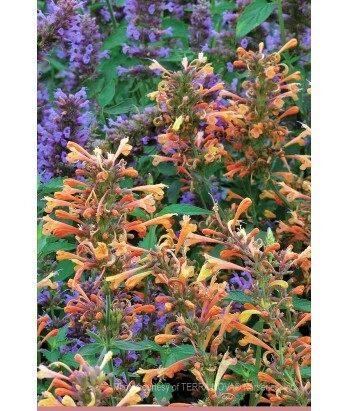 Attracts hummingbirds and other beneficial pollinators. Deer resistant. Moderate water needs once established. Adapts to a variety of soil conditions, but requires good drainage. Hardy to 15-20°F.